Created in 1998 in Los Angeles, California, United States by Jared Leto and his brother, Shannon, 30 Seconds to Mars initially began as a small family project. Matt Wachter later joined the band as bassist and keyboard player. After working with a number of guitarists (including Kevin Drake and Solon Bixler), the band auditioned Tomo Mili?evi? to complete the band's official roster. After Wachter's departure from the band in 2006, the Leto brothers and Mili?evi? continue on as a trio with additional touring members, including Tim Kelleher on bass. The band has released three albums. The band's debut self-titled album, produced by Bob Ezrin, was released in 2002 to mixed reviews and achieved sales of just over 100,000. The album produced two singles, Capricorn (A Brand New Name) and Edge of the Earth. The former peaked at #31 on the U.S. Mainstream Rock chart. Their sophomore album, A Beautiful Lie, was released on August 30, 2005. Because the album was leaked five months before its release, the band decided to include two bonus tracks: "Battle of One" (an original song that was also set to be the album's title track when it was first announced) and "Hunter" (a cover of the Bj?rk song). To further promote the album, the band also enclosed "golden tickets" in 12 copies, which granted their owners access to any 30 Seconds to Mars concert free of charge, along with backstage access. This Is War was released on December 7 in the United Kingdom and December 8th in the United States. This Is War is the first studio album by 30 Seconds To Mars in four years since A Beautiful Lie released in 2005. The album will include the following tracks: "Escape", "Night of the Hunter", "Kings and Queens" , "This Is War" "100 Suns", "Hurricane" , "Closer to the Edge", "Vox Populi", "Search & Destroy", "Alibi", "Stranger in a Strange Land", "L490". The first single from the album was 'Kings and Queens', and it was released on 6th October 2009. 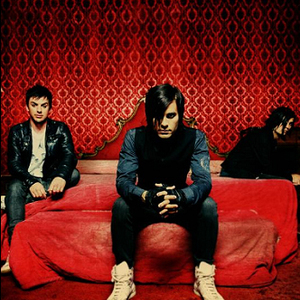 The Echelon is a publicity street team for the band 30 Seconds to Mars, which helps in bringing friends to the shows, phoning local radio stations to request the band's songs, putting up posters, posting to band forums or related bulletin boards online, voting for the band in official award nominations and maintaining magazines or websites dedicated to the band. It is also the name of one of their songs in the album 30 Seconds to Mars. The band's phoenix logo.The band's phoenix logo (which the band named "Mithra") bears the phrase "Provehito in Altum", the band's motto, roughly translated from Latin as "Launch forth into the deep", but a more stylized version would be "Rocket in(to) High(ness)" or "March The Skies". The logo was primarily used for promotion of the band's debut, whereas for A Beautiful Lie, the new Trinity logo was created consisting of three skulls, along with the band's name and motto. For This Is War, the band has adopted the alchemical symbol for air, continuing on the sky/air theme.